Mallow is the ultimate choice for every day, city cyclers. 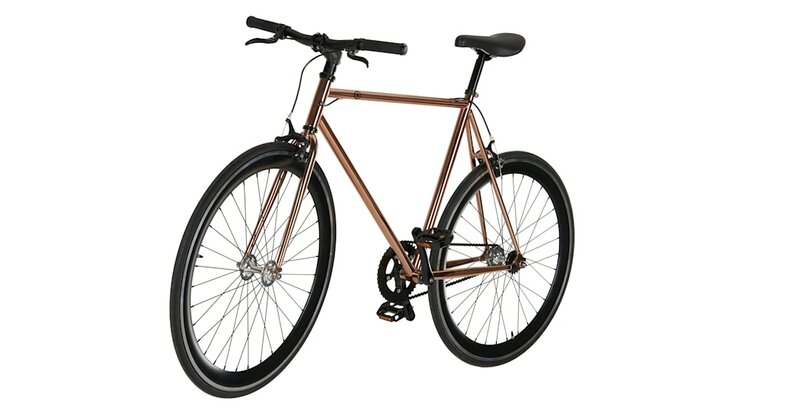 It's glossy in metallic copper with white or black wheels, so you can commute in style. This impressive bike is easily fitted with baskets, bells and accessories. Check out our helmets in a coordinating copper, matt black and brass to keep you safe en route. Keep it simple with one gear. A single-speed bike is perfect for commuting and easy to maintain. Ideal for zipping through the city, the luxe Mallow bike is made from lightweight high-grade steel for a super smooth ride.